On July 25th Disney will release Minnie’s Happy Helpers on DVD! I’m excited about it because Ji is at the age where she can help me out with small chores. She’s even beginning to ask for paid gigs because she is saving up to go to Disneyland! 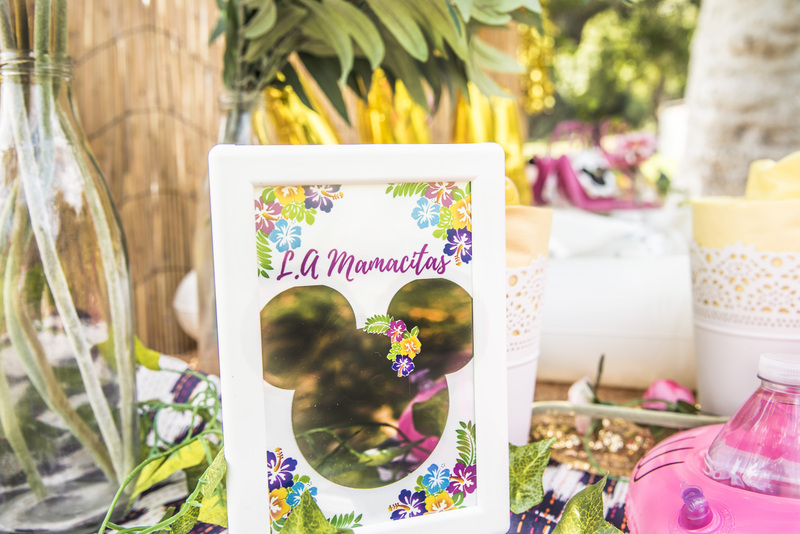 To help promote the DVD, L.A Mamacitas got together for a fun Minnie Mouse themed luau! 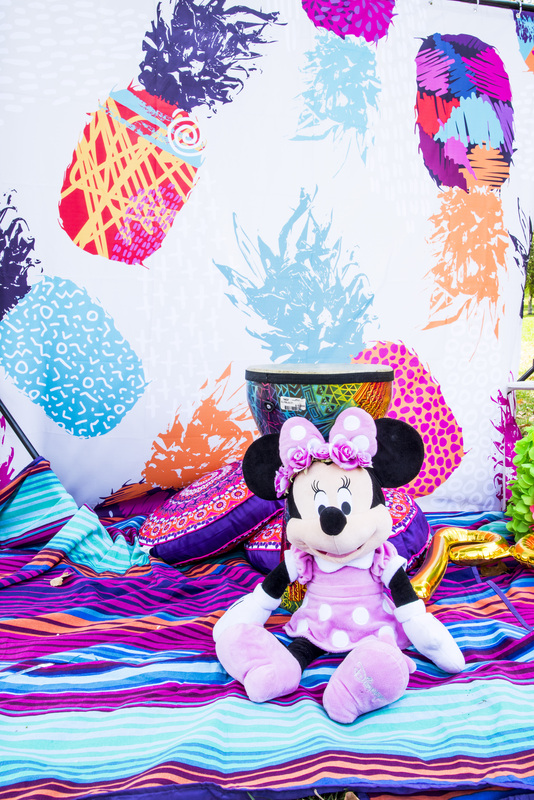 This Minnie Mouse luau was so much fun to put together. 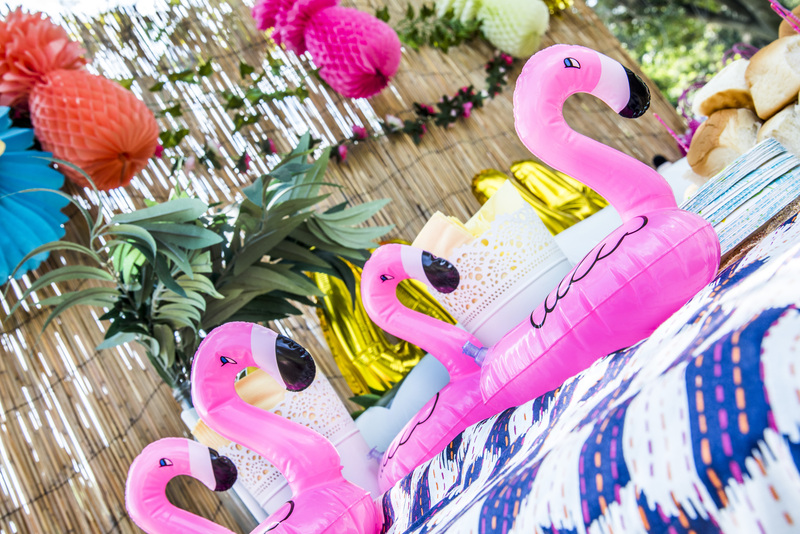 Since the theme was already decided the next thing was putting together the color scheme, the menu, activities and you must always, ALWAYS have beautiful backdrop for both the food and for guests to take pictures. 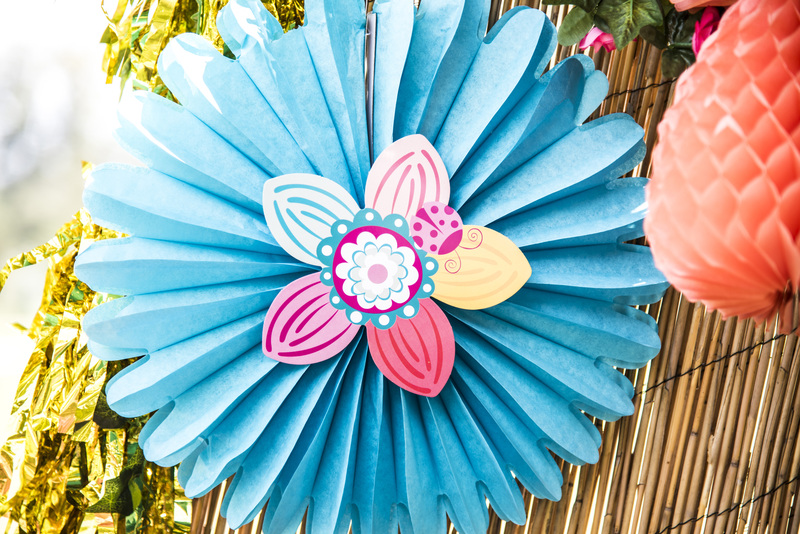 I’m not a big fan of primary colors so you’ll notice that most of my parties always include a variation of purples, pinks and teals. 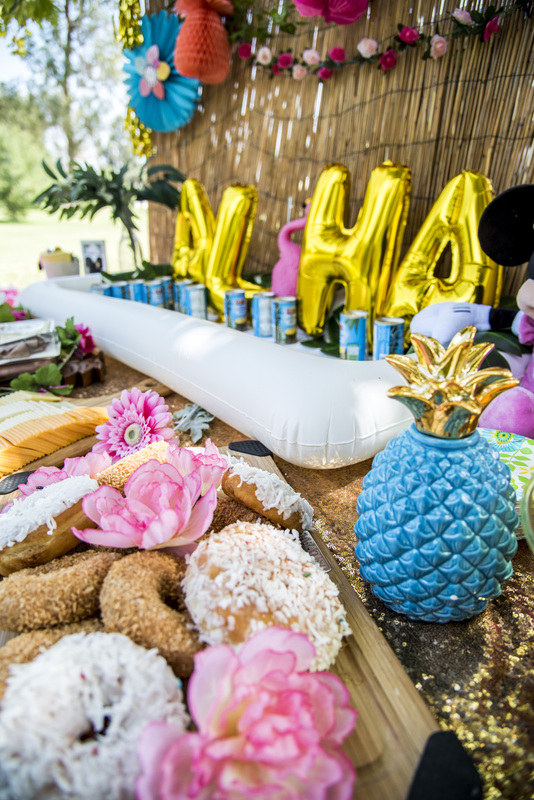 Our Minnie Mouse Luau took place at 11AM so the menu consisted of light snacks. 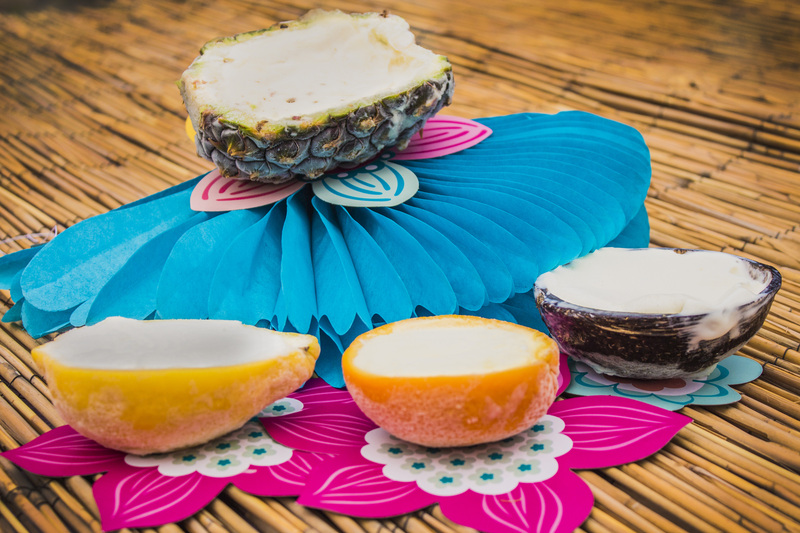 Our guests were treated to coconut donuts, Hawaiian rolls and chips, pineapple juice and delicious coconut, pineapple, orange and lemon ice cream in their fruit shells. 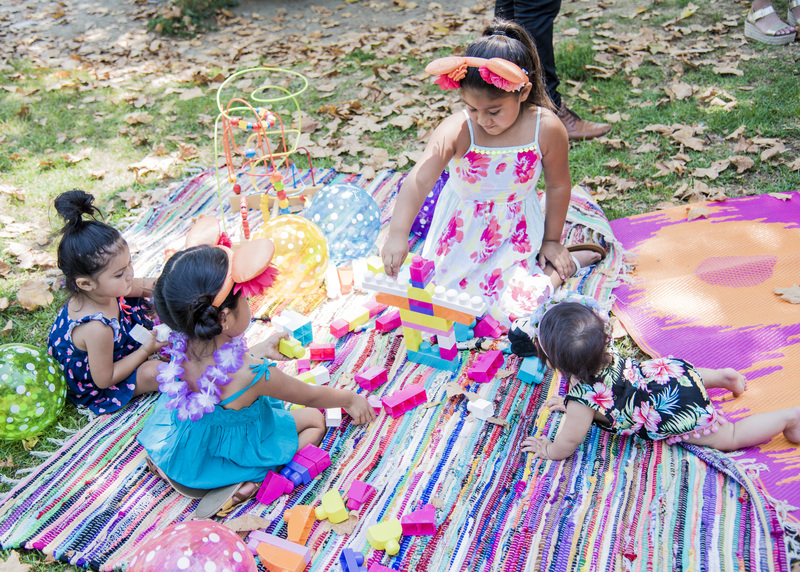 The kids were entertained with blocks, bubbles and a drum that also served a décor. 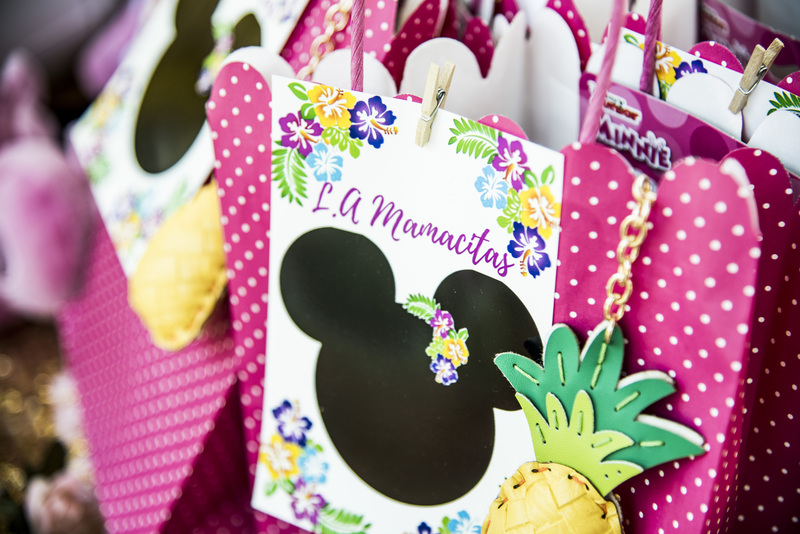 Every mamacita invited also received a goody bag with a copy of Minnie’s Happy Helpers and other fun items like bubbles, earrings and a pineapple keychain. 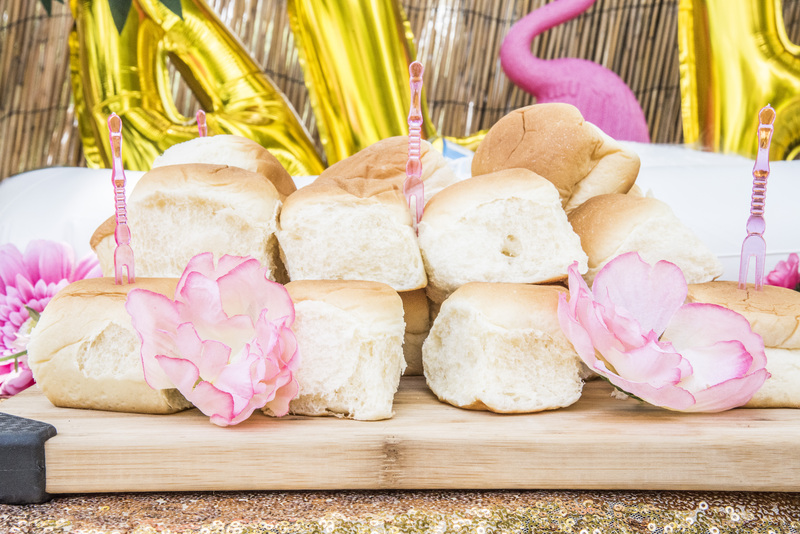 If you are throwing a Summer Party, Luau or Minnie Mouse themed event, I hope that you have found inspiration in this post. 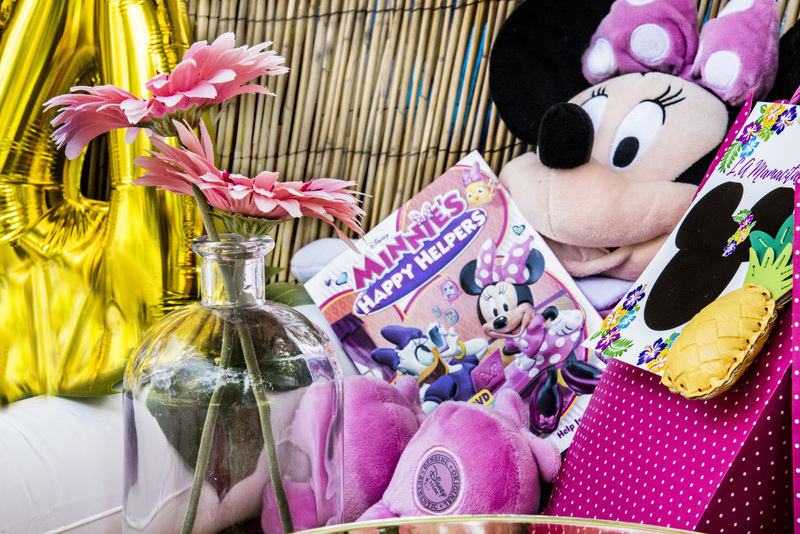 Minnie’s Happy Helpers was our inspiration and everything came together perfectly! 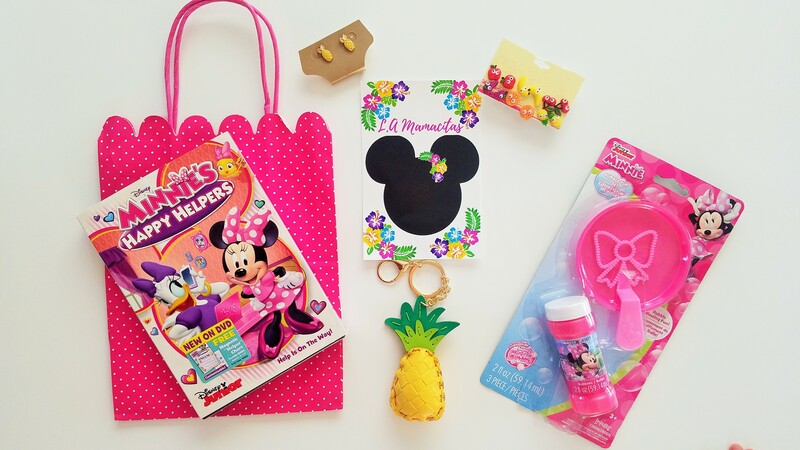 Minnie’s Happy Helpers makes for a cute gift for any little girl. It also comes with a magnetic “helper” chart. 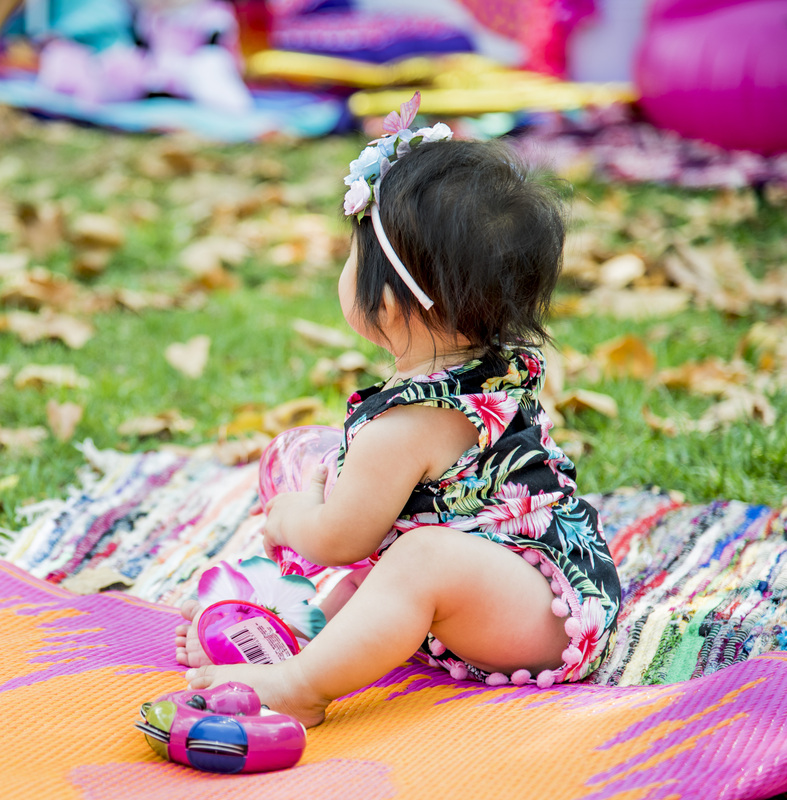 It’s perfect to get your little helper organized! 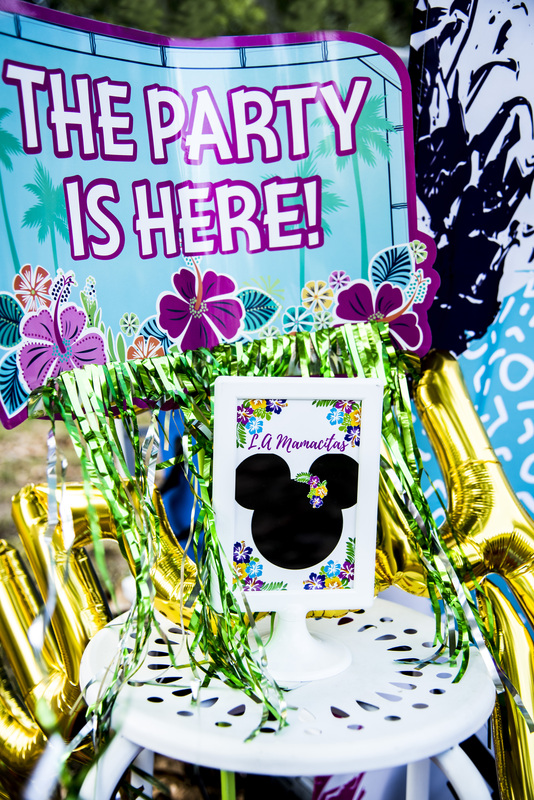 A big thank you to Disney for sponsoring this party!